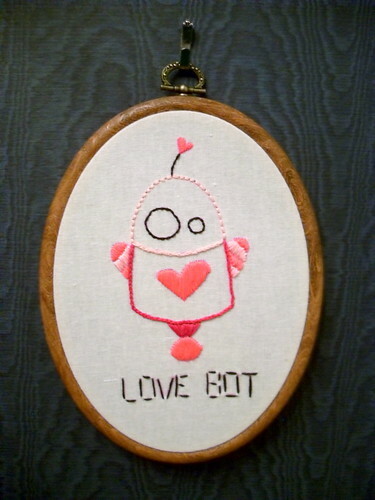 LoveBot, originally uploaded by rachelmckay. How cute is that?! And check out the satin stitches. Perfection! That satin stitch is perfect. I'm impressed! Love the love bot. I do.